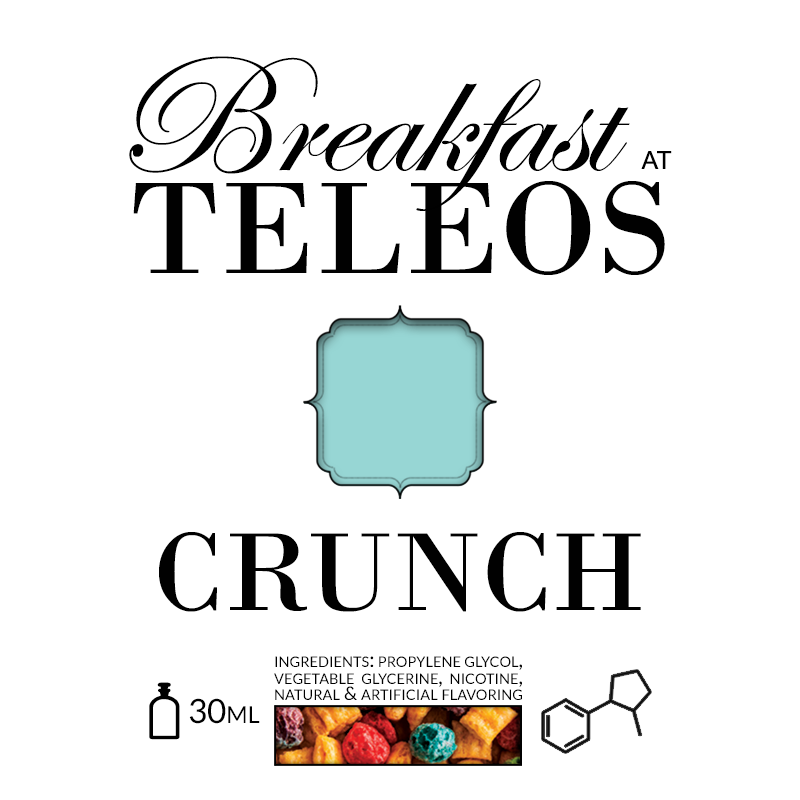 The first in our Breakfast at Teleos line, CRUNCH pays homage to two of our favorite things: a classic cereal and and a gooey, crispy dessert legend. Subtle notes of marshmallow-laden sweetness accompany the flaky undertones of cereal. On the front end you'll get a handful of berry flavor bathed in milky deliciousness and on the back a wonderful sweet, creamy mouth feel. One of our more "mellow" flavors, but full-bodied at the same time.